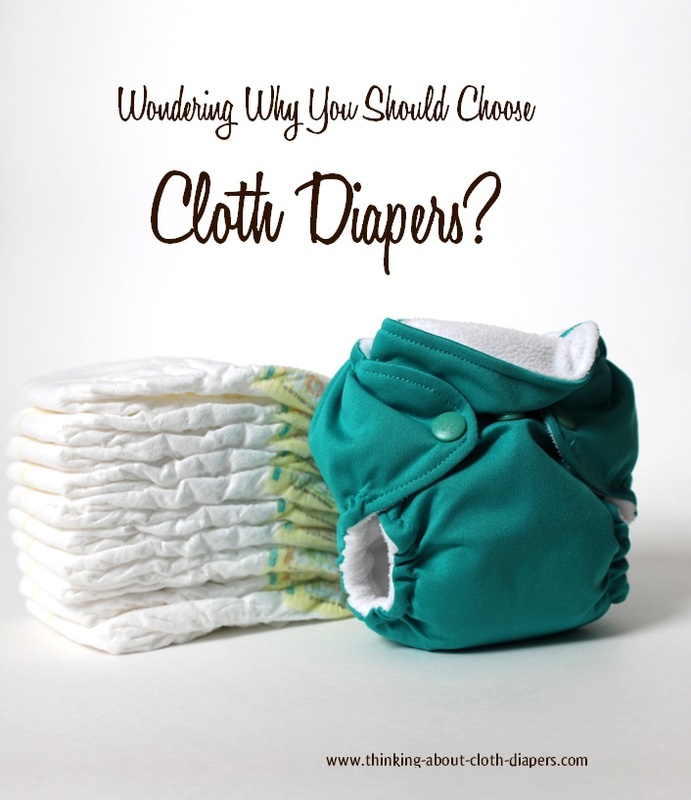 Convenience of Cloth Diapers: Are Disposables Really Easier? Lucky for you (and me!) the convenience of cloth diapers has come a long way! Pin-free and relatively painless, today's cloth diapers boast features that mirror the functionality and convenience of disposables. When we think about cloth diapers, many new parents still have misgivings because we haven't been exposed to the new and improved versions of the cloth diaper! But today's cloth diapers are convenient, pin-free and relatively painless thanks to ongoing innovations. The modern cloth diaper industry was born in 1991 when Canadian-owned MotherEase launched several innovative diaper products with improved features to make cloth diapering easier for parents. Over the next 10 years, as the convenience of cloth diapers improved, word spread. In 2000, Fuzzi Bunz launched the first version of the pocket diaper, an outstanding innovation that greatly narrowed the gap between the convenience of cloth diapers and disposables. Cloth diapers have been experiencing a revival. Read more about pocket diapers here. Today's cloth diapers now boast features that mirror the functionality of disposables: elastic waist and legs, improved absorbency and fabrics to wick moisture away from baby's bottom. While improvements in the absorbent materials used in cloth diaper construction have improved, they are still somewhat bulkier than disposables. With a little bit of practice to master the snaps, pocket diapers are just as easy as disposables to put on baby... and some brands even offer Velcro or aplix closures for added convenience. Read more about all-in-one diapers here, or learn more about all of the different types of cloth diapers here. But Isn't Cloth More Work? Absolutely - but it's only a little more work! If you choose to use cloth diapers you will need to dedicate only a few minutes every few days to take care of the laundry - unless you choose a diaper service. Cloth diapers are not as complicated as they may seem, especially once you establish a routine. You will need to wash and dry the diapers every few days. 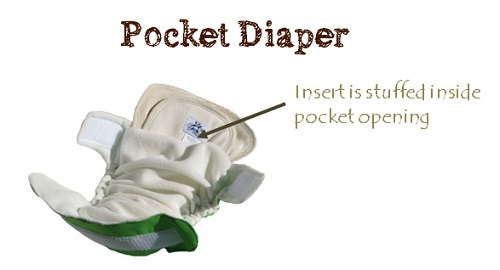 If you are using pocket diapers, you also need to reassemble the inserts into the pockets (stuffing). Depending on the type of inserts you use, stuffing can take as little as a couple of minutes per load of laundry. 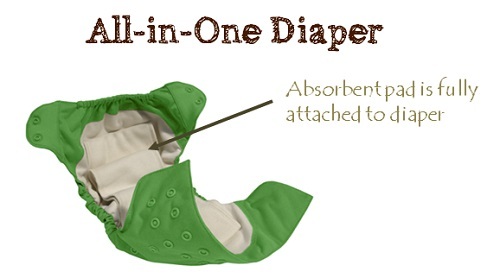 The convenience of cloth diapers is even better when you use all-in-ones, since they require no stuffing at all. You may hear claims that disposables are more reliable and less messy than cloth diapers. With the elastic waist and legs and the right amount of stuffing in your cloth diaper, it can be every bit as reliable as a disposable diaper. Our first experience with blow-outs was when our little guy was sick on a trip to Grandma's house (on the other side of the country) when we used disposable diapers. We tried 2 brands of disposable diapers that week, and they just didn't work. We couldn't wait to get back to our cloth diapers, which have always contained messes better than the disposables we've tried! One of the great options when you use cloth diapers is that you can customize the level of absorbency by adding or changing the insert you use. For added convenience and reliability, many parents add a "doubler" for long car rides and night-time use. The extra absorption means they don't need to worry that baby is sitting in a wet diaper too long. Will They Fit My Baby? Keep in mind that every baby is a little different, so not every diaper will provide a good fit for your baby. Whether it's cloth or disposable, you may need to experiment to find a diaper style that offers reliability and a good fit for your baby. There are lots of great cloth diaper products out there that can fit well with lots of different babies. Be sure to read some product reviews for your brand before you buy to find out what other parents are saying about fit issues and reliability. Can I Use Cloth Diapers When I Travel? Some parents choose to use disposables when they are out and about, worrying about the convenience of cloth diapers. For day trips, and even overnighters, cloth diapers aren't a big deal. 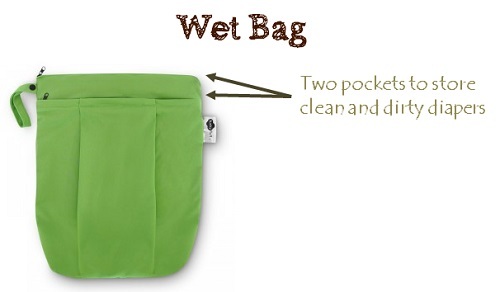 As long as you have a wet bag, cloth diapers can even be used for travel. Read more about wet bags here, and click here to find our review of the Funky Fluff wet bag (shown above). If you're planning a trip, check out our diaper bag checklist for helpful suggestions on what to pack. Can I Use Cloth Diapers at Daycare? Love your cloth diapers, but not sure how your daycare provider will feel about them? If you plan to return to work, you will also have to consider your daycare's preference when you choose between cloth and disposables. It may come as a surprise, but many daycares are still unfamiliar with modern cloth diapers. This article provides helpful suggestions on introducing cloth to your daycare provider, and tips for demonstrating the convenience of cloth diapers to make the experience a positive one for everyone. Looking for more information on how cloth diapers stack up compared to disposables? Continue reading to find out how cloth diapers save you money, or find out more about the environmental impact of cloth diapers in our article on why cloth diapers are eco-friendly. Go back to Benefits of Cloth Diapers vs. Disposables.